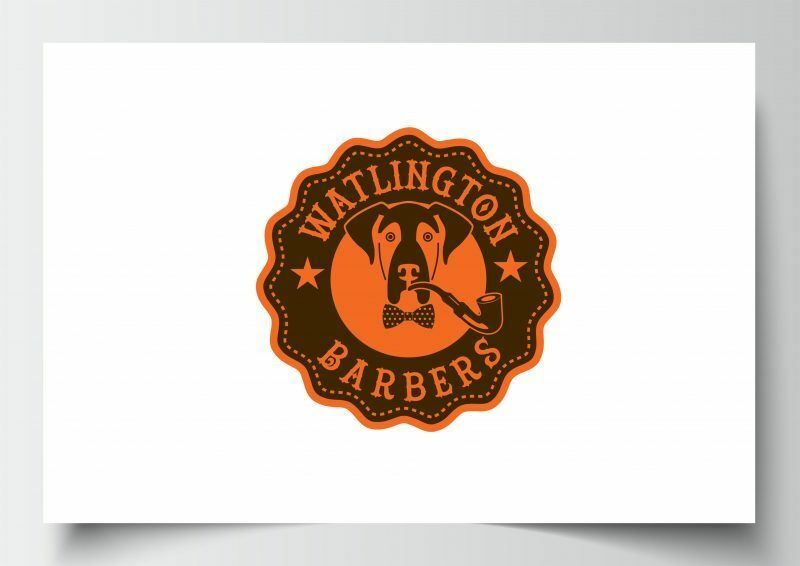 Watlington Barbers in Oxfordshire requested a logo from me that would incorporate a retro theme. Something that would be distinctive and if possible include their love of dogs and something geared towards gentlemen, as they specialise in vintage style haircuts and male grooming. The colours we decided on were orange and brown, in keeping with the shop décor. They really loved the hound dog smoking the pipe!